Learn how to understand your overlocker – this versatile machine can do much more than finish seams. After learning the basic of tensions and differential feed you will be discovering different stitches and techniques, including – inside corners, outside corners, working with lycra, satin, jersey and lace, flatlock stitch and a rolled hem for pin tucks, edging fine fabrics, placing a “V” neck within a neckband and more. With fabric samples to take home showing the results you achieved during this enlightening day you will have the confidence to use your overlocker to its full potential. Why not come to this class if you are thinking of buying an overlocker. 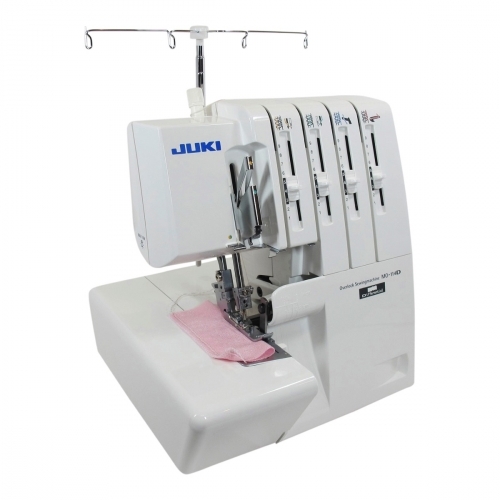 If you have a Juki MO-1000 you will need to bring this machine with you.